The Healthworker Training Programme, begun during the Second Arya Kshema Winter Gathering, has continued this year. 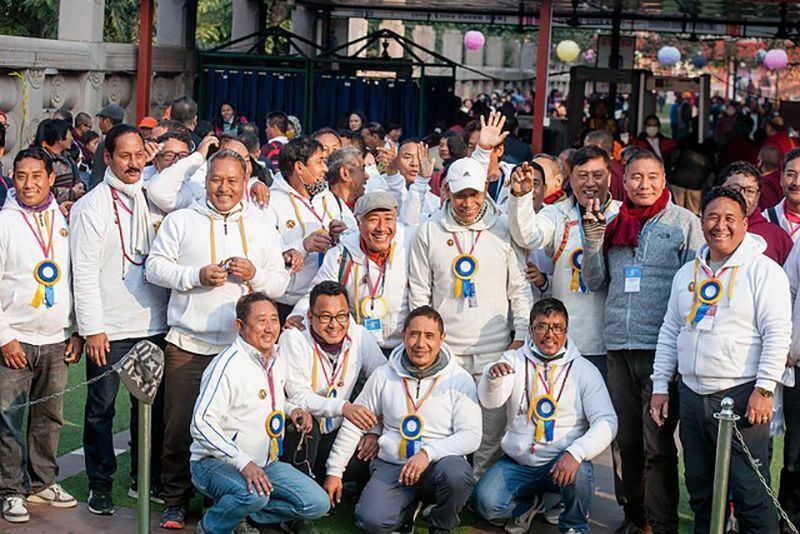 Nuns from six nunneries—Ralang and Tilokpur in India, Karma Leksheyling, Tara Abbey, Osel Karma Thekchöling and Samten Ling in Nepal— have spent eight days studying an advanced course in general healthcare and how to respond to medical emergencies. This project, organised by Dr Jeffrey Chen, CEO of the Taiwanese NGO Taiwan Health Corps, is a joint venture with His Holiness the 17th Karmapa. 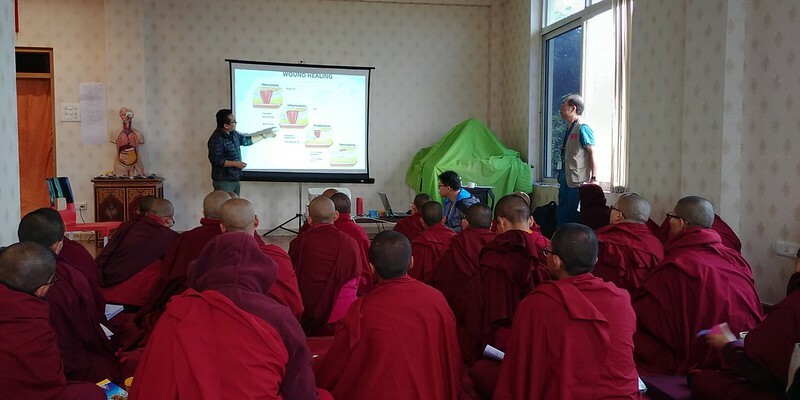 The Taiwan Health Corps, whose motto is We do it for love, has worked previously with the Root Institute in Bodhgaya, a Buddhist monastery in Bangladesh, and has also run projects in Nepal, Turkestan and West Africa. 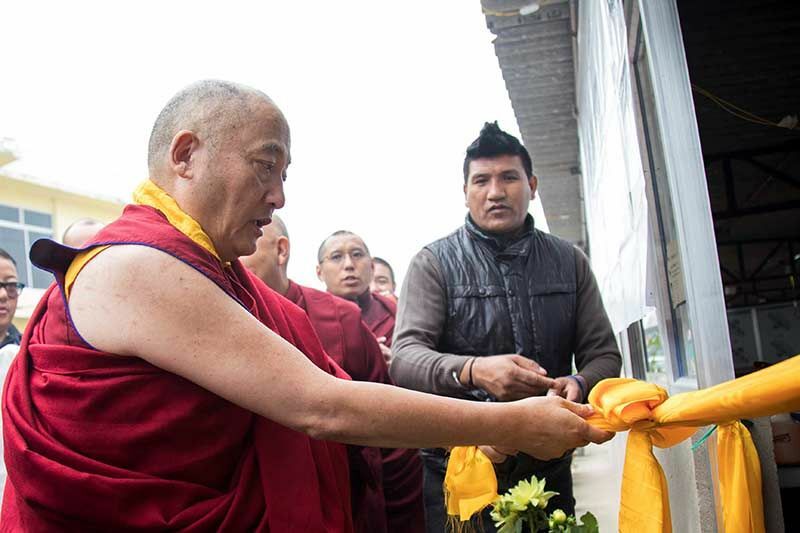 Dr Chen was interested in developing a programme of rural health worker training in monasteries and nunneries, and the Karmapa wanted to find ways of improving both the health and healthcare of monks and nuns. From this collaboration was born the Taiwan Health Corps’ Himalayan Area Health Caretaker Training Programme. 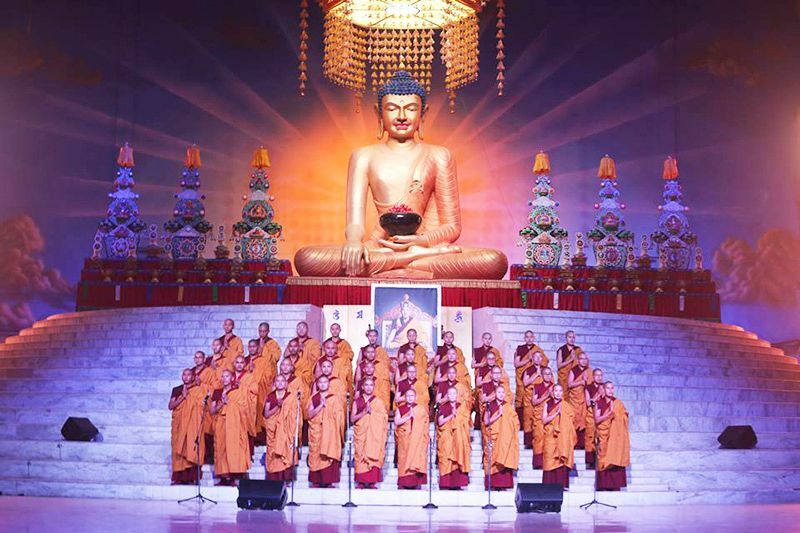 The monks receive their training separately. 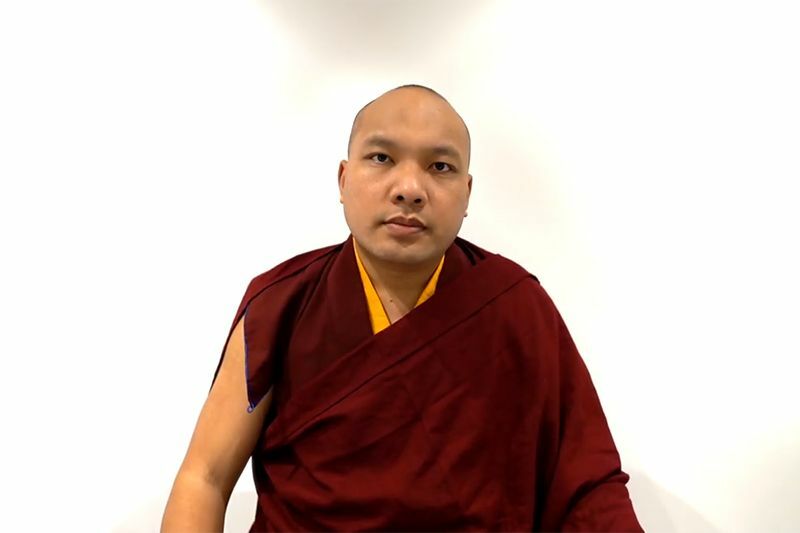 The Karmapa suggested that the best time and place to offer the nuns health training would be during the Arya Kshema in a safe environment where they felt comfortable and which did not require additional travel. This year’s course, taught by a team of nine health professionals, contained more advanced material than in previous years and included more theory alongside practice. 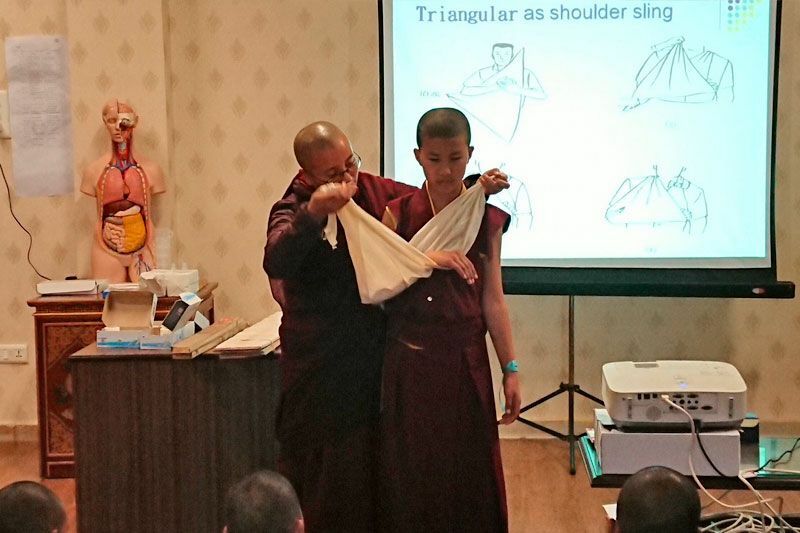 The central part of the course, however, remained very practical “hands-on” sessions, where the nuns revised human anatomy and basic first aid skills, practised resuscitation on life-sized models, and learned how to stop or reduce bleeding, use splints to immobilise broken bones, bandage wounds, tie slings and so forth. The nuns found the session devoted to women’s health issues led by a gynaecologist particularly helpful. Twenty-eight nuns completed the course and received course certificates in a special ceremony with His Eminence Goshir Gyaltsab Rinpoche.